Community gardens often have to get creative when it comes to making improvements or sourcing materials for their cash-strapped gardens. That’s why the spirit of DIY is so strong in many urban & community gardeners you’ll come across! 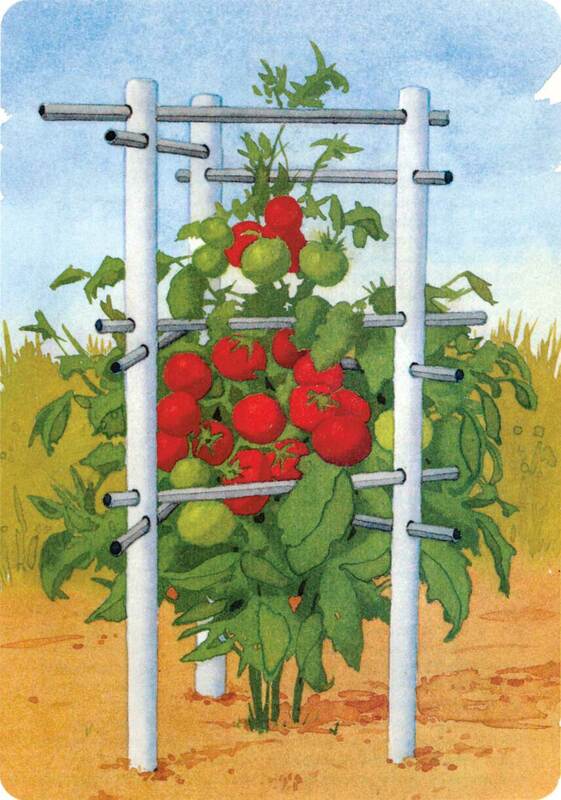 Here’s some great ideas from Mother Earth magazine on building a better tomato cage. Whether it’s PVC pipes, wire mesh, or wood planks (I’ve even seen some made with old crutches!) just make it yourself. After countless seasons of buying those standard three-ring cages made from some flimsy material, licorice might be stronger (! ), the argument for making your own is duly noted. 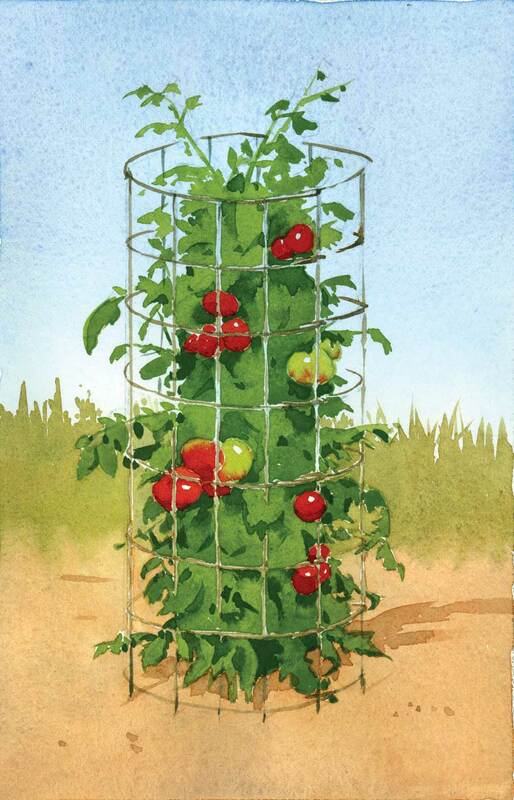 With some calculations, you could save up to $4 per cage if you make them yourself with wire mesh. 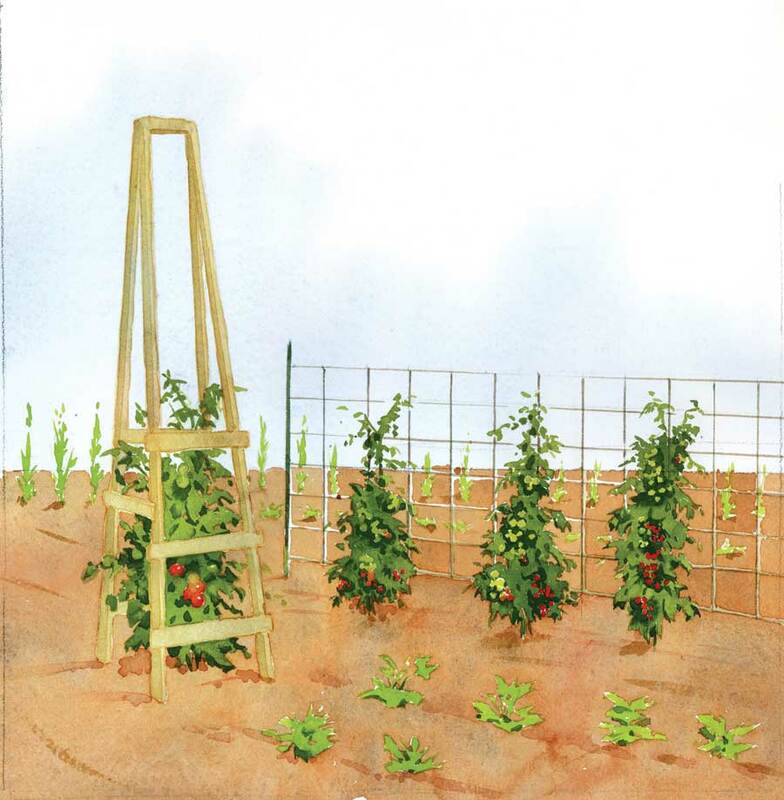 This entry was posted in DIY, Resources and tagged Mother Earth Magazine, tomato cages, tomatoes by bang11215. Bookmark the permalink.